I shouldn’t have stayed over at my parent’s house. I couldn’t sleep a wink on the hard tatami mat, though my wife could sleep like a log. I tossed and turned on the bed until I finally gave up waiting for the sandman to send me to dreamland. What to do? Can’t sleep, can’t go back to my house. I decided to watch some movies. 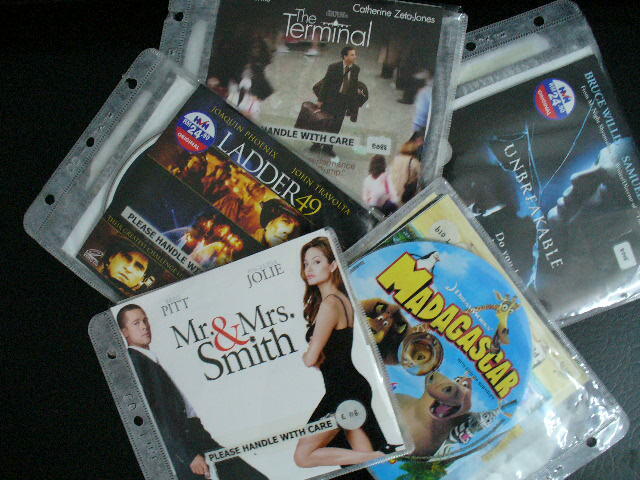 Rummaging through the pack of VCD that I had the good sense to bring along, pick out and watched Ladder 49 with spectacular performance from Joaquin Phoenix. It was quite a sad drama with the protagonist having to perish while rescuing people from a burning building. Still could not sleep even after watching the movie, I decided to switch to Astro and watch something; anything! Switching through the channels back and forth trying to catch something of interest. Nyet! Ok, next VCD: Madagascar. Dawn was already approaching with my insomnia still hanging on to me. Argh! This cartoon was terrible! The flow of the story was bad that after the first disc, I decided against continuing with the second disc. The bad storyline seem to do the trick though. Fatigue overcame me; I lay down on the couch and managed to catch some forty winks. Ah, blissful sleep at last!